Kirstjen Nielsen Resigns: Kirstjen Nielsen's departure marks the end of a tortured relationship with her boss. Kirstjen Nielsen initially joined the Trump administration in January 2017. US President Donald Trump on Sunday announced Homeland Security Secretary Kirstjen Nielsen, the front-line defender of the administration's controversial immigration policies, would leave her position. The 46-year-old's departure marks the end of a tortured relationship with her boss, who blamed her for a recent spike in the number of migrants coming through the Mexico border and reportedly felt she wasn't tough enough to implement his policies. Trump's announcement comes days after he and Nielsen visited the Mexican border where the president delivered a message to would-be illegal immigrants and asylum seekers: "Our country is full." "Secretary of Homeland Security Kirstjen Nielsen will be leaving her position, and I would like to thank her for her service," Trump tweeted Sunday. On Friday, US media reported that Trump also pulled his nominee to lead Immigration and Customs Enforcement department -- saying he wanted someone "tougher" to lead the department -- a sub-agency of Nielsen's. 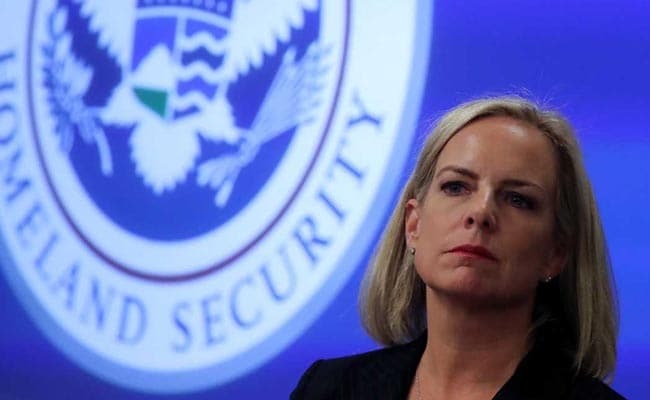 Nielsen initially joined the Trump administration in January 2017 as a an assistant to Trump's first DHS secretary, John Kelly. When Kelly moved to the White House as Trump's chief of staff in July 2017, Nielsen went with him as his deputy. But by October she was back at DHS, this time as secretary. Disaster relief, cyber security, transportation security, the Coast Guard, customs and policing the borders all fall under the department's purview. But most notably, she has become the face of the Trump administration's fierce anti-immigration policy. That includes the widely condemned practice of separating migrant children from their parents as part of a "zero tolerance" policy of prosecuting all illegal border crossers. 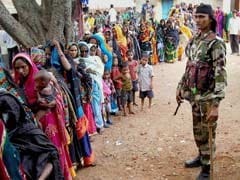 Images of sobbing children being taken from their parents last year fuelled a national outcry that saw Democrats demand she resign, as condemnation poured in from the United Nations, human rights groups, and four former first ladies -- all mothers -- who called the policy "cruel" and "immoral." Although Trump's ambiguous announcement left the details of her exit up in the air, Nielsen's relationship with the president has long been said to be difficult. But despite reports he complained constantly about her performance -- and that he believed she was not harsh enough -- she remained steadfastly loyal. Last month, she defended the president's declaration of a national emergency to secure funding for his pet project: a wall on the US-Mexico border.